We are delighted to announce that CPM, in partnership with Lucozade Ribenna Suntory, has been shortlisted for the prestigious Ulster Grocer Marketing Awards 2015, in the category of Best In-Store Consumer Sales Promotion for Lucozade Sport 500 ml 99p price mark pack campaign. The winners will be revealed on May 22nd, at the Culloden Hotel in Belfast. For this year, the award features eight categories designed to showcase the very best that the local food and grocery retail industry has to offer. 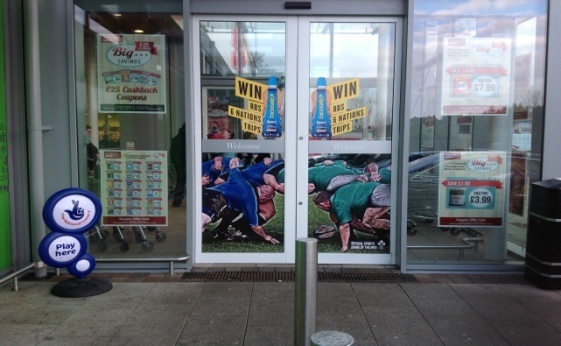 The Lucozade Sport campaign was designed to activate an in-store promotion that would increase sales volume, encourage retailers to switch from standard packs to price marked packs, ensure Lucozade Sport retained its number 1 status and using Lucozade Sport sponsorship of Ireland Rugby we also had to reconnect with Lucozade’s sporting heritage and appeal to our target market of both regular individual and team sports men and women. The specific mechanic was an in store 6 nations promotion to win tickets to the Ireland vs Italy game in Dublin on 8th March 2014. 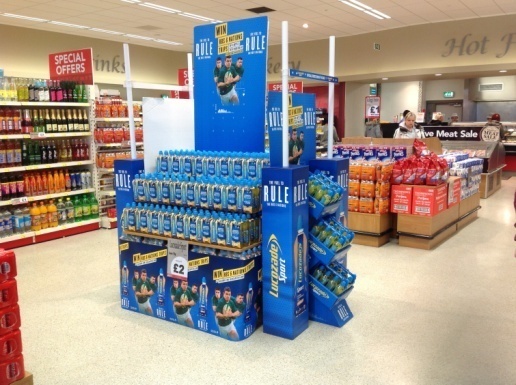 As with all our work in CPM, the sales and merchandising activities were executed to at minimum industry best standards and as a result we had a great outcome: our team managed to not only maintain Lucozade Sport as the No.1 position- we also increased sales. We smashed our target of 25% increase in sales in Nisa stores with an average sales uplift of 39%. Other great result accomplished was to achieve a 35% switching of retailers from standard packs to price marked packs. The success of this campaign could not have been achieved without the strategic partnership that we have with our client Lucozade Ribenna Suntory. It is very much about working collaboratively with our client Lucozade Ribenna Suntory to plan in-store execution. This is key to our success. CPM also wants to recognise the hard work and professionalism of our team for achieving these amazing results and prove once more that in CPM sales is part of our DNA! We wish our team the very best of luck on the 22nd of May – our fingers are firmly crossed! To all the other nominees we say congratulations and may the best candidate win!